Awards given to Ta’u project with Tesla in the American Samoa islands, a centre for awareness about water resources on Malta and the adoption of Zero Motorcycles’ electric bikes by a local police force. Small islands provide a natural laboratory for the circular economy, according to the third edition of Greening The Islands, which expanded its vision this year beyond its traditional topics of energy, water and mobility to embrace issues of waste management, agriculture and sustainable tourism, all seen as part of an integrated drive to enhance livelihoods on small islands. policies that respect the different needs of individual islands, allowing for a certain degree of autonomy in managing their resources. Focusing in particular on the topics of energy and water, the event heard about concrete projects that could be replicated across a wide number of localities: the Danish island of Samsø which will be fossil free by 2030; a hybridization project by Terna Plus combining traditional and renewable energy on the island of Giannutri; the island of Ta’u Samoa that will go 100% renewable thanks to Tesla storage systems; best practice in energy efficiency by Gewiss; innovative applications in water desalination of Protecno; and the “zero-emissions” plan presented by the local council of Favignana and the island’s power utility SEA. With electric mobility a key issue on the international scene, Joeri De Ridder, president of the World Electric Vehicle Association, underlined the opportunity that exists to reinforce the nexus with renewables, including by developing so-called vehicle-to-grid solutions, in which vehicle batteries not only draw power from the grid but can also feed into the electric system, helping to ensure greater stability. Equally interesting for islands is the project presented by Peter Paul Barbaraof the Maltese government’s Elettromobility Platform to reduce fuel consumption by ships and in the port area. Islands often find themselves facing drought with dramatic impacts on agriculture, as pointed out by Sara Mariani Zadeh of the Food & Agriculture Organization of the UN (FAO). This makes it important to spread best practices on water management, drawing on examples such as the project on Cape Verde to recycle water for use in agricultural activities, thus saving drinking water for more needy purposes. Development (Enea) explained the Ge.Ri.N project for correctly managing Posidonia oceanica seagrass from the beaches of the island of Favignana and ways it can be re-used; José Manuel Rosa Nunes from the Azores spoke of the need to roll back years of real-estate speculation by the hospitality industry and the role sustainable tourism could play in the circular economy. 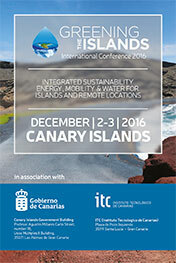 The proceedings ended with a visit to the Canary Islands’ Institute of Technology (ITC) with an explanation of applications put into practice by the institute around the themes addressed during the Greening The Islands conference. A gala dinner saw the announcement of the second edition of the Greening The Islands Awards, which recognized innovative projects that can be easily replicated on other islands and have a greater impact on emissions reductions. The awards were given in categories including: renewable energy and energy efficiency; water, sustainable mobility. 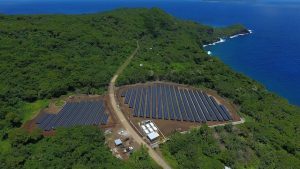 The “Ta’u island microgrid” project was funded by the American Samoa Economic Development Authority, the Environmental Protection Agency and the Department of Interior. The aim has been to allow the island to save on energy costs, keep intermittence of power supplies to a minimum along with reduced environmental impact. Like Ta’u, many communities across the globe use diesel as their main source of power. Today, microgrid solutions featuring solar power and energy storage cost less than diesel almost anywhere in the world and are a cleaner, safer alternative. The project, implemented within just one year from start to finish, will meet 100% of Ta’u’s energy demand and will comprise a microgrid system with 1.4 megawatts of solar generation capacity from 5,328 SolarCity panels and Tesla’s 6 megawatt hours Powerpack battery storage system. Thanks to the storage facility, the system can supply Ta’u with electricity even if the sun doesn’t shine for three days, while it takes just 7 hours of sunshine to recharge the system. 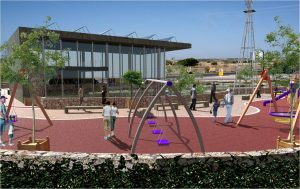 The facility will be an interactive museum to help inform residents and tourists about the importance of water resources and, given the lack of water on the island, smart management both in domestic and agricultural uses. Visitors will be able to find out about the importance of an integrated water cycle and efficient use. 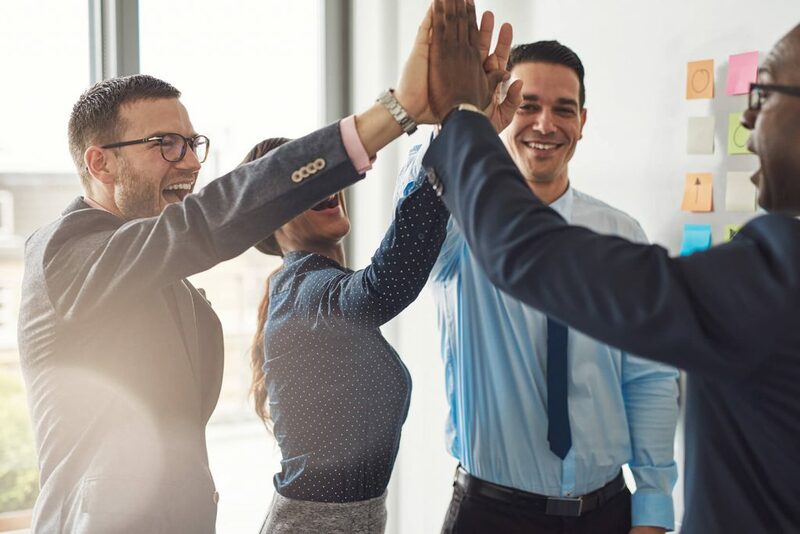 The project will consist of a low environmental impact building, especially as regards water use, with a view to reducing its overall water footprint. The centre will feature a rainwater harvesting reservoir with capacity of about 500 cubic metres to collect rainwater runoff, which will be used to irrigate the landscaping around the grounds. To minimise water demand, highly efficient water fittings will be installed both inside and outside, including the irrigation system. 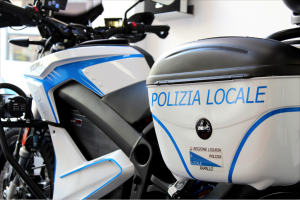 The “Replacement of police motorbikes” project is an initiative by the Italian town of Rapallo, in Liguria, which is replacing its local police motorbikes with electric models. The model Zero S motorbikes by US producer Zero Motorcycles have been specially equipped for police requirements. Although they cost the same as bikes with a thermal engine, in the long term they will be cheaper for the local administration. For every e-bike, the council will save €350 a year in fuel, will cut insurance costs by half and pay no road tax for five years. Environmental benefits come on top of these economic returns: each bike saves 1 metric ton of CO2 emissions every four years and reduces noise. 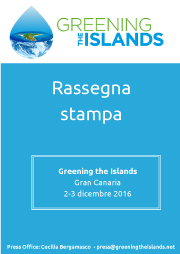 In addition, Greening The Islands announced at its event on the Canary Islands the launch of Greening The Islands Net, an online platform that will feed debate between conferences as a way to bring together islands from around the world.